Once again we will try to include as many Footy events in our Champions League as possible with the season building toward the Footy National Championship in September this ear to be hosted by Frensham Pond MYG . Hopefully this will encourage the best of the enthusiastic clubs around the county to come forward to compete. The scoring system and points will count from the following competitions The Footy Nationals, any three Footy Opens highest points to count and four club league races the points between club races and open competitions will be interchangeable, however these will not be transferable to the National Event. For all qualifying events, the number of points awarded to each competitor shall be calculated on the basis that any event winner scores maximum points. Each successive place position scores a proportionate amount of the maximumpoints. The differential between each place, and the last place score, is calculated as the maximum points divided by the number of competitors. The points in the published Champions League tables shall be displayed to one decimal place. 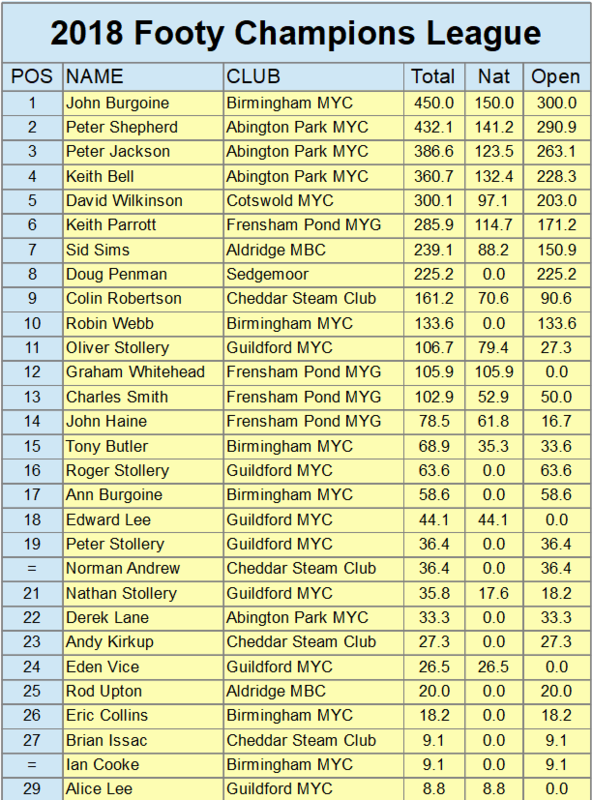 With the support of Roger Stollery the Novice Competition will also continue, trophies will be awarded to the highest placed Novice at each of the Footy Opens, however the overall prize will be awarded to the highest placed skipper within the Champions league competiton. 2018 saw John Burgoine make a number of rig improvements, a stiffer mast on the Justin and carbon tube down the luff of the foresail, thankfully he understands the Footy Class ethos of sharing new designs and improvements and shared them with the rest of us. 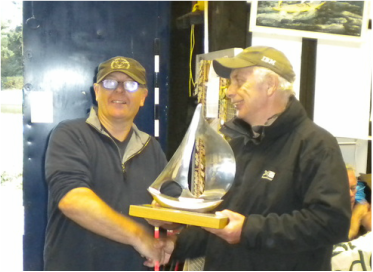 In those events where he went head to head with Peter Shepherd these upgrades put him clearly ahead and it wasn't until Peter upgraded to a new set of sail prior to the National Championship he was able to compete, however by then it was to late and John adds his name to the Champions League trophy. Keith Parrott came good towards the end of the season manly with some rig upgrades. Peter Jackson & Keith Bell were always there of thereabouts in events with the IBEX performing pretty well especially when the winds were gusty. I didn't have the heart to retire Fat Boy, and for 2019 possible developments using 3D printing are afoot, with the Footy being an ideal candidate for using this development tool it should be an interesting year in the class.